Twenty-four hours a day, 7 days a week, police officers are out there, on patrol and working hard to keep the rest of us safe and secure. But they can't do it alone. In every department, there are plenty of non-sworn support personnel who make sure officers have the help they need to do their jobs. On the front lines of law, enforcement support are those folks who decided they wanted to become police dispatchers. One thing that makes police dispatching such a great career opportunity is the fact that there are very few minimum requirements. In fact, dispatching is one of a few criminal justice jobs you probably qualify for right now. In most states, to be eligible for a dispatching job you must be a United States citizen and be a high school graduate (or equivalent GED). Because you'll be spending a lot of time talking to lots of different people, some departments may also require you to show some work experience in customer service or other public contact. For the most part, though, that's all you need to get started learning how to be a police dispatcher. Minimum qualifications are one thing. Developing the skills, you need for long-term success is something else entirely. Despite the relatively few minimum requirements, dispatchers play a critical role in the success - and safety - of the officers they support. To be truly successful in the job, you need to be able to communicate effectively and articulately, think fast on your feet and make good decisions. Typing and data input is also a must because dispatchers use computer-aided dispatch (CAD) programs to take in, record and prioritize calls for service and officer activities. 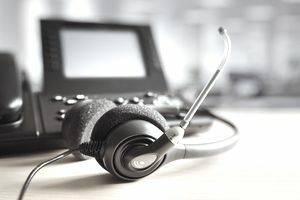 Not only do dispatchers serve as a lifeline for both the public and the police, but they also have access to sensitive and protected information through the Criminal Justice Information Services (CJIS). All of that mean dispatchers must pass a fairly thorough background investigation - which might even include a polygraph exam - to get hired. No matter what state or jurisdiction you get hired in, you'll need to receive some stringent on-the-job training, if only to be familiar with agency policies, procedures, and equipment. More likely, though, you'll need to pass a formalized 911 operator certification program. The training usually consists of legal and liability training, CPR, CJIS full-access certification and a formal field-training program. Police dispatching, like law enforcement, isn't for everyone. The fact is, these jobs often involve high stress and little thanks. You will spend long days indoors, working shift work, looking at computer screens and talking on the radio or the phone to a diverse group of people. On the other hand, you'll be part of an important and often overlooked group of professionals who have a big hand in helping keep their communities safe.